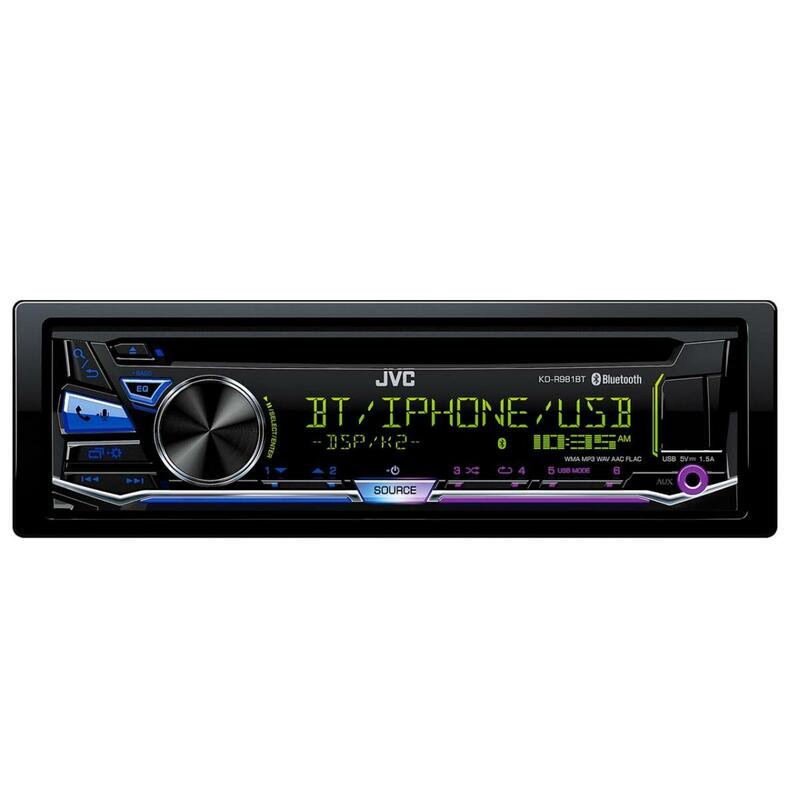 Light up your dash and your life with the JVC KD-R961bt bluetooth car stereo and it's many, many colour options. 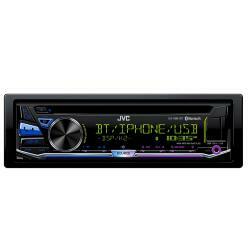 I have a ch-x500 12 disc changer, can you advise me on which stereo units this is compatible with please. None of the model's support disc changer function now. 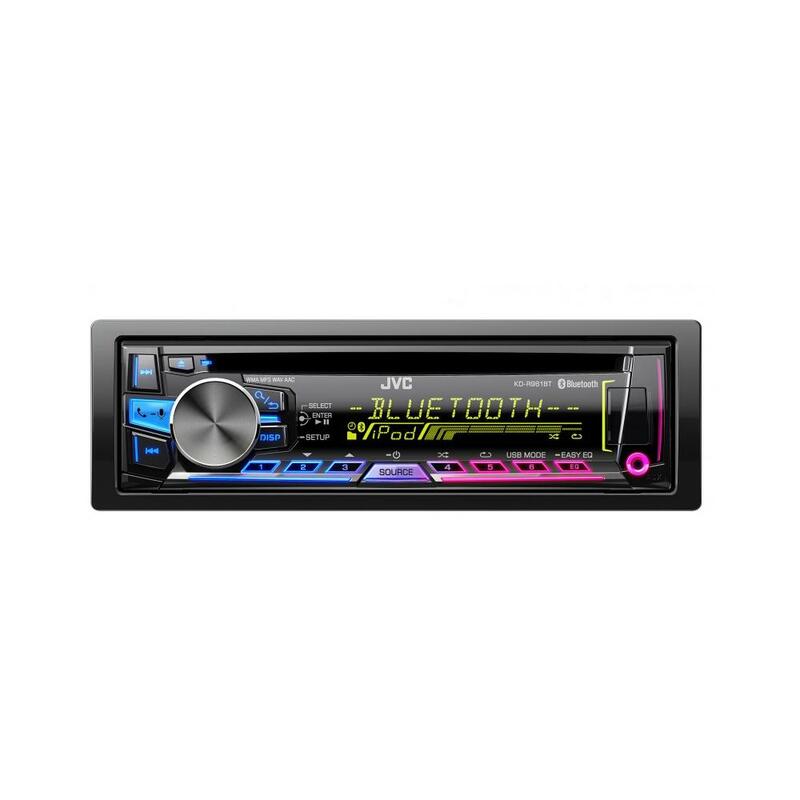 Hi, what components are neeeded to fit this into a 55 plate A4 B7 S line, it has a half amplified non-Bose system as standard. Will a seperate power supply be needed or will the harness power the HU? What else i need to fit this unit on my auris 2007 ? Does this have a mic for hands free calling ?